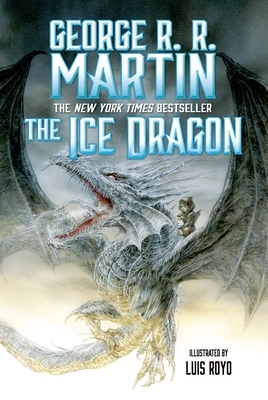 This new edition of The Ice Dragon is sure to become a collector's item for fans of HBO's megahit Game of Thrones. George R.R. Martin has been a full-time writer for over 25 years. He is the author of the acclaimed, internationally bestselling fantasy series A Song of Ice and Fire, which is the basis of HBO's popular Game of Thrones television series. Martin has won multiple science fiction awards, including 4 Hugos, 2 Nebulas, the Bram Stoker, the Locus Award, the World Fantasy Award, the Daedelus, the Balrog, and the Daikon (Japanese Hugo). LUIS ROYO is a prolific Spanish artist best known for his lush fantasy illustrations. Over 30 books of his collected art have been published including Women, Dead Moon, and the Malefic Time series. Royo’s artwork is featured in Spectrum 3 and has been exhibited in Barcelona, Madrid, Milan, New York, Seattle, and St. Petersburg.